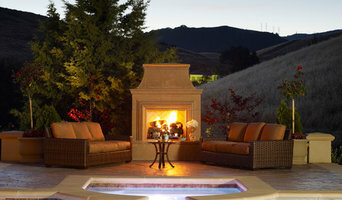 San Francisco Bay Area Landscape Architect 4x Best of Houzz! 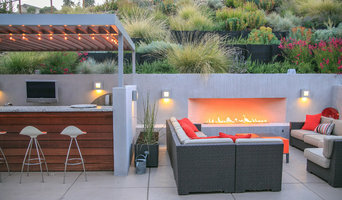 SF Bay Area Landscape Architecture Firm 8x Best of Houzz Winner! Landscape Architect in the San Francisco Bay Area specializing in custom residential design. Marty works collaboratively with homeowners, architects, builders and engineers to achieve a landscape design that compliments a wide variety of home styles. Emphasis on material choices that influence a unique look. Outdoor rooms, cabanas, planting design, lighting, masonry design, romantic gardens and pools. My goal is to create outdoor spaces that are carefully planned to create unity between the home and the landscape. At Native Sun Gardens, the focus is on drought tolerant plants and low water gardening, edible estates and habitat gardens. Organic, Site Specific and Suited to the many Bay Area & Denver Micro-climates. We offer custom design plans to create the best combination of plants for each microclimate. Listen here for my latest Podcast! <a rel="nofollow" target="_blank" href="https://www.youtube.com/watch?v=8bmCYwBHRmY">https://www.youtube.com/watch?v=8bmCYwBHRmY</a> Cost Breakdown: Full Design Plan: Site Analysis + Second 2-hour Design Meeting, Planting Plan Site Map, Estimates of Materials and Labor, 10-year use plan, referrals). By producing hand-drawn planting plans after an in-person site analysis, we can offer the highest quality design at a reasonable price. Distributors of custom fabricated site furnishings for residential, hospitality, corporate, and government projects. There is a standard line of unique designs, and optional build to specification. Furnishings include : Metal Planters, Cast Stone Fountains and Planters, GFRC Fountains and Fire Pits, Fiber Cement Elements, Concrete Planters and Outdoor Seating. We can help modernize and maximize your outdoor space with inviting fixtures. All design and manufacturing of metal fixtures are proudly done in the USA using recyclable materials and sustainable methods. Contact us today. We'd love to hear from you! In business 38 years, John and Marty have the combined experience and knowledge to see your project through from start to finish whether it is a new landscape, renovation, or dedicated project. 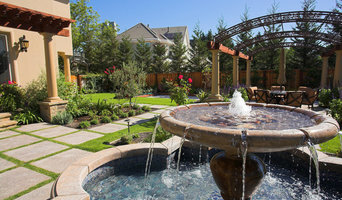 East Bay Landscape Design & Installation Firm 2 x Best of Houzz! The work of this outdoor professional includes most everything surrounding a home's exterior. A landscaping architect can even work with the home architect to choose the right spot for your Danville, CA house. From there the Danville landscaper will develop preliminary concepts for your front or backyard design based on individual needs including the climate and activities that will take place, as well as layouts and planting plans. Landscape architects will also design any structures or outbuildings that will be added to the space. Any grading changes that will be added to the yard are also the responsibility of the architect. This includes any drainage modifications. An engineer can also be responsible for these tasks, but licensed California landscapers are fully capable. Like building architects, they will produce preliminary concept drawings as well as detailed construction documents and planting plans. Three-dimensional renderings and illustrative plans are all supplementary. A Danville landscaping designer generally will have ecological, aesthetic and technical training, which helps them maximize the potential of your outdoor space. Keeping in mind both style and functionality, garden designers analyze your architecture and yard to produce a plan that may or may not include location and materials for walkways, patios, water features, fences, garden aspects and more. In addition, a landscaper in Danville, CA will carefully assess your geographic region to choose plants, trees and flowers that will flourish naturally, as well as address concerns such as drainage, screening and soil conditions. Certain landscape designers only help with the planning portion, while some may deliver the plans and then oversee a hired landscaping contractor. Others — typically following a design-build approach — take care of both the design and all aspects of the landscape architecture and construction. Find a Danville landscape architect on Houzz. 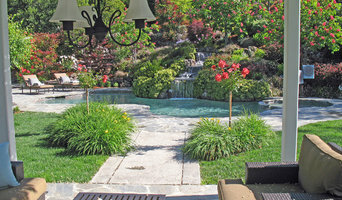 Narrow your search in the Professionals section of the website to Danville, CA landscape architects and designers. You can also look through Danville, CA photos to find a space you like, then contact the professional who posted the photo.